Lynne Kelly’s newest release is a masterpiece that offers a glimpse of the world from a perspective we hope to see more of in kid lit! Adventure, loneliness, discovery, friendship: Song for a Whale holds so much between its pages. Iris is an amazing protagonist. I love seeing the world through her eyes and seeing how she solves the problems she faces in ways that would never occur to me as a hearing person. The way that Iris’ empathy for Blue 55 moves her to action is an excellent display of her ingenuity. Sound is something many of us hear, but for Iris, it’s something she feels. She shows the reader how we, too, can feel sound, and all that is communicated through it, on a whole new level. Her experiences of being deaf at a hearing school open the reader to a different perspective. How do we show respect to those we communicate with? Kelly shows the difficulties in communication barriers though conflicts with Nina, who is sure she has mastered sign language, and with one of Iris’ teachers, who refuses to see past Iris’ difference. How often do we think we’ve mastered a complex topic, like a language and a culture, from reading a single book instead of learning from those embedded in them, as Nina does? Or how often do we limit our view of another and belittle their abilities, like Iris’ teacher? Iris’ family dynamics are another intriguing element. Kelly links Iris’ relationship with her grandparents to poetry. The sign poems, poems rhyming not with words but with sign shapes, that Iris and her grandfather create are beautiful and a realm of poetry that I’d not experienced before. And the shared but distancing gulf of grief between her and her grandmother after the death of her grandfather draws the reader into the narrative in relatable ways. 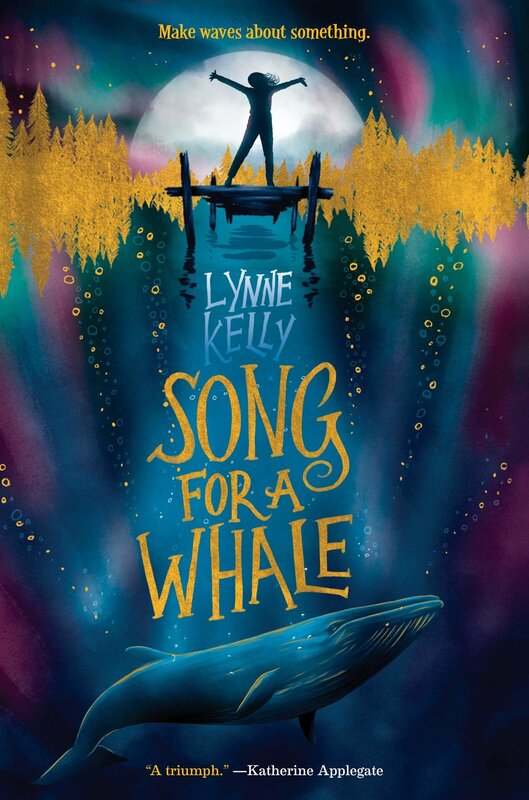 Song for a Whale is excellent for those who love fixing things, for those who love adventure, for those who feel they are often misunderstood, for those who long for that special connection between kindred spirits.